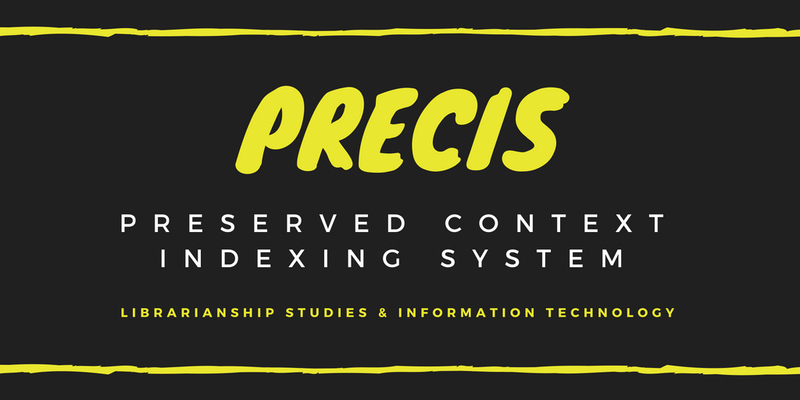 PRECIS is an acronym for PREserved Context Index System or PREserved Context Indexing System. PRECIS is a computer assisted pre-coordinate subject indexing system developed by Derek Austin in 1968 as a result of long research which the Classification Research Group (CRG) undertook to give a new general classification for information control. In 1969 British librarians Derek Austin and Peter Butcher issued PRECIS: A rotated subject index system, published by the Council of the British National Bibliography. This appears to be the first published report on an innovative method for adding subject data in the form of descriptors to the computerized MARC record. This system is considered as the most important development in alphabetical approach to subject specification in recent years. The system aims at providing an alphabetical subject index which is able to cater to the variant approaches of the users along with their context. In order to achieve this objective, the system arranges the components of a document, into a significant sequence, thus, all the important components in the string are used as approach points. Simultaneously, the terms are displayed in such a fashion that every term is related to the next term in a context dependent way. Moreover, the system is amenable to computer operation, which further adds to the advantage of the system as the entries will be prepared and arranged automatically by the computer. The system derives headings that are co-extensive with the subject at all access points. It is not bound to any classification scheme. The terms are context dependent in nature, which enables the users to identify the entries correctly. The entries are generated automatically by the computer references between semantically related terms. It also provides an adequate arrangement of references between semantically related terms. It is a flexible system, as it is able to incorporate newly emerging terms accordingly. It has introduced the PRECIS table which puts forth a set pattern for the preparation of entries, thus bringing about consistency in work. The concept of PRECIS deals with terms, strings, and role operators. Term: A term is a verbal representation of a concept. It may consist of one or more words. String: An ordered sequence of component terms, excluding articles connectives, prepositions, etc., preceded by role operators is called a string. The string represents the subject of the document. Role Operators: The Operators are the code symbols which show the function of the component term and fix its position in the strings. These role operators are meant for the guidance of the indexers only and do not appear in the index entry. The component terms are arranged in such a way that they are context dependent, at the same time they are interrelated to each other. Analyzing the document and identifying key concepts. Organizing the concepts into a subject statement based on the principle of context dependency. Assigning codes with signify the syntactical function of each term. Deciding which terms should be access points and which terms would be in other positions in the index entries, and assigning further codes to achieve these results. Adding further prepositions, auxiliaries, or phrases which would result in clarity and expressiveness of the resulting index entries. Lead: ‘Lead’ position serves as the users’ approach term, by which a user may search the index. Qualifier: It represents the term or set of terms which qualifies the lead term to bring it into its proper context.It provides wider context to the lead term. Display: It is the remaining part of the string which helps to preserve the context. The approach term is placed one by one in the lead term section, with the succeeding terms (if any) as the qualifier and the preceding terms (if any) in the display section, displaying the context of the terms. The Predicate Transformation Format is used when the term representing an agent (3) appears as a lead term prefixed by one of the operators 2 or s or t. When such a situation arises, 2 or s or t is shifted to Display position from the Qualifier position. PRECIS makes the use of inverted format when any term is provided the role operators (4), (5) or (6) and these terms appear as Lead terms. When it happens so, the dependent elements are presented in italics (or underlined if handwritten) after a hyphen and the terms in the Qualifier position are printed in the Display position. PRECIS follows a two-line three-part format for the display of its entries, as a result, it follows a distinct filing order, within broad alphabetization. When a number of entries appear under similar lead terms, they are further arranged by the qualifiers as follows. PRECIS was first adopted by BNB, later on, a number of agencies went to accept the system. Among the other national bibliographies that adopted PRECIS are Australia, Malaysia, and South Africa. Besides these, a number of libraries in Britain are practicing it. A number of pilot projects are also practicing and for creating indexes to statistical, public and other records. PRECIS was replaced at the British National Bibliography (BNB) by COMPASS in 1996, which was later replaced by Library of Congress Subject Headings. 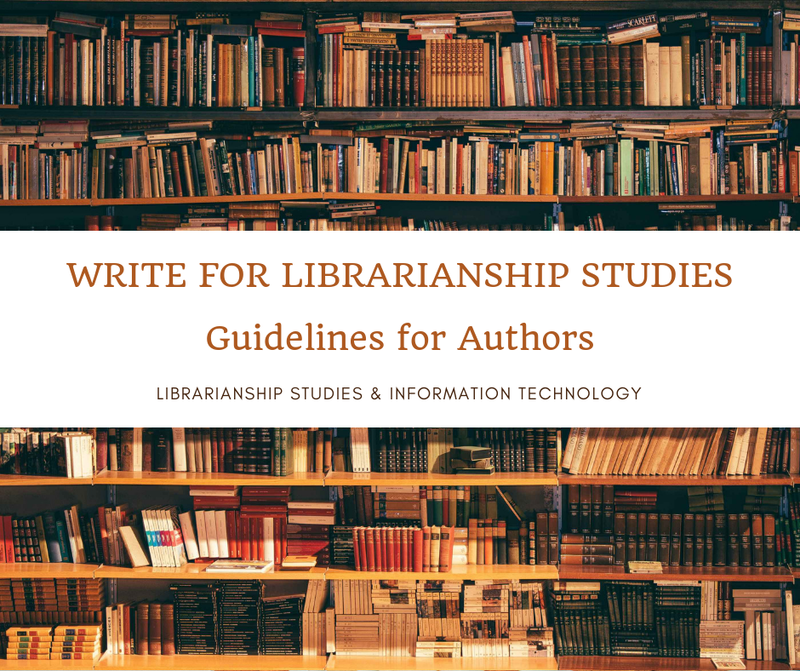 Subject Cataloging - a collection of articles on subject cataloging and indexing in the Librarianship Studies & Information Technology blog.